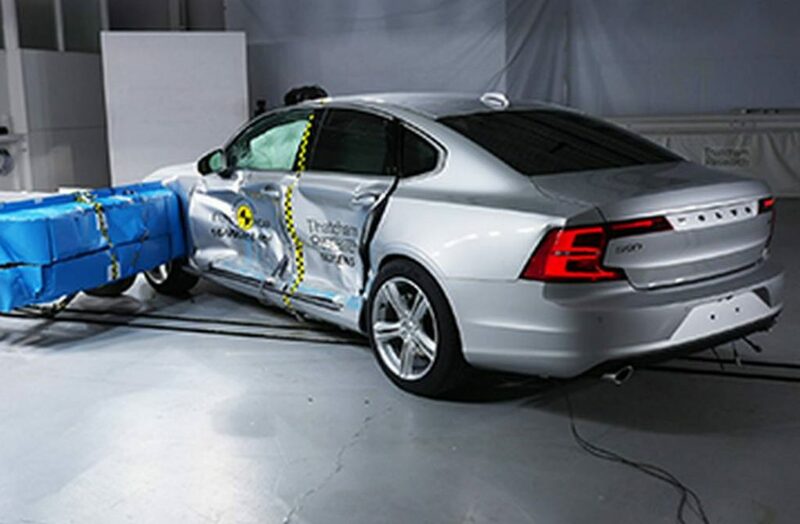 Volvo Cars is amongst the leaders of automotive safety innovation for several decades and the latest crash test results from Euro NCAP stand in testament to it. With the new S90 sedan and V90 wagon, it has become the first car brand to score full marks of six points in the assessment for Autonomous Emergency Braking for Pedestrians (AEB Pedestrian) and needless to say an overall five star rating with authority in Adult Occupant, Child Occupant, Pedestrian Protection and Safety Assist. 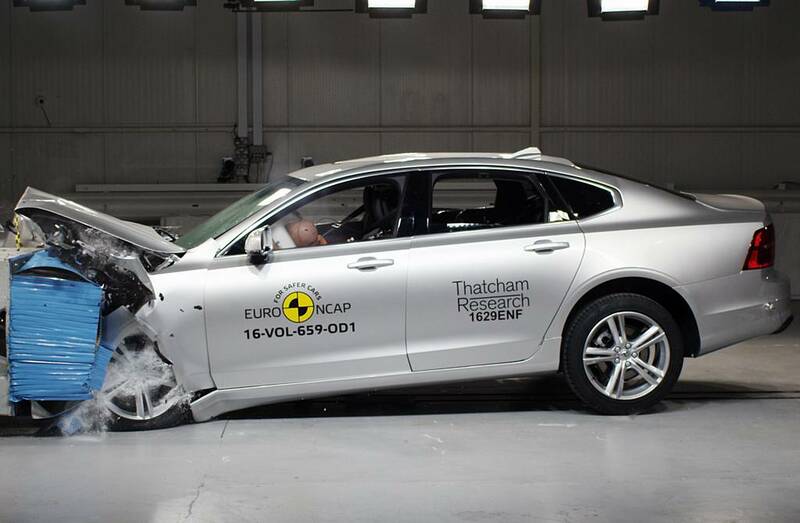 Both the flagship 90 series models have gone past the best overall score of any model tested in 2016 and in the process makes three vehicles from Volvo on top three of Euro NCAP’s best-ever performing cars. Besides the S90 and V90, the other car is none other than their XC90 SUV. 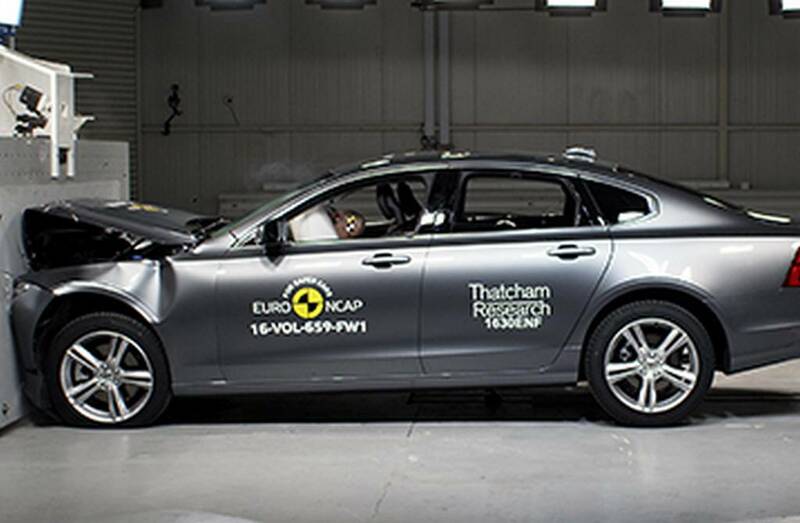 It was the first car ever to score full points in the Autonomous Emergency Braking Car-to-Car rear-end tests (AEB City and AEB Interurban) conducted by Euro NCAP. As expected by the Swedish safety pioneer, the S90 and V90 performed exceptionally in the 2017 testing cycle by achieving a full 5 stars courtesy of the high level of standard safety equipment. Autonomous Emergency Braking systems like City Safety provides another step towards self-driving cars which Volvo believes is a key element to reduce accidents and fatalities. The success in Autonomous Emergency Braking tests comes on the back of constant pursuit towards making cars safer. As a result, the advanced City Safety system is standard across all new Volvos. City Safety identifies potential hazards on the road ahead such as vehicles, pedestrians, animals, etc. The AEB Pedestrian tests are performed to check the capability of pedestrian detection systems using three road crossing scenarios. All of them would result in fatal collision if the AEB system fails to get in the act. The common and critical situations presented were an adult running into the path from driver side of the vehicle, an adult walking into the road from the passenger side and child running from between two parked cars into the road from passenger side.